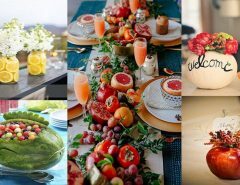 Today we are going to see some ideas to be able to use a natural and very decorative element in your home. I am referring to the ropes, and not to give a house style to your house, but to introduce them to your home in many other ways. Indeed, they fit well in nautical environments and also in rustic ones, but as you will see below they adapt perfectly to almost any style. 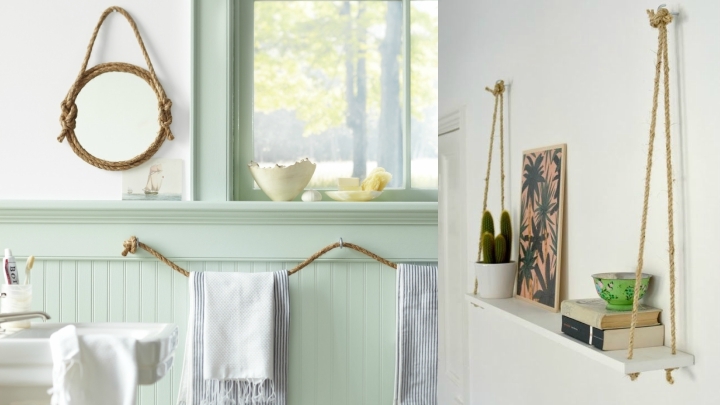 A first idea is to use a rope as a curtain clamp, to hold it while you have it open. The contrast between the rustic rope and the softness of the fabric will be very decorative and special. If you want, you can add some extra decorative element. A proposal that I like very much is to use strings for the lighting of any room in the house. You can do it in many ways. 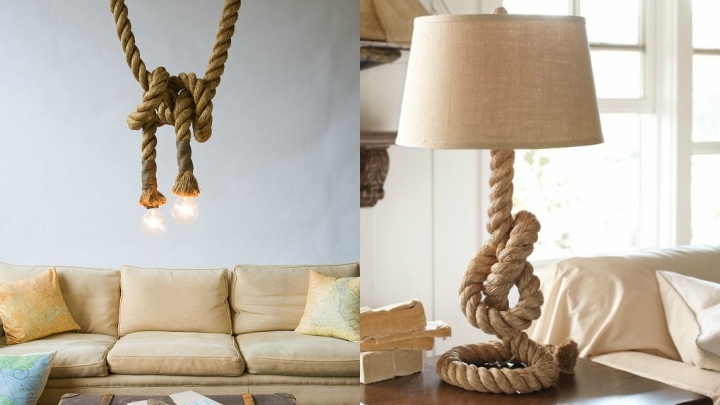 On the left, for example, you see how thick ropes have been used to make a hanging lamp. On the right, they have been used as a foot for an incredible table lamp. You can also cover the foot with rope or even the tulip itself. If you have stairs at home you can replace the handrail by a thick rope, or make the bars of the same be of rope, placed in zigzag or vertical. 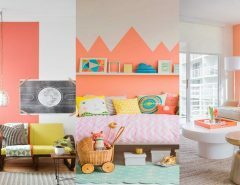 I love how cool they are, for example, in children’s rooms that have bunk beds, since you can design an incredible staircase to join both beds. Here you also have several options. Above all you will see them in circular mirrors; If you want me to acquire all the protagonism, surround the mirror with a rope. You can give it all you want, depending on how thick it is. Another idea is to use the rope to hang it on the wall. 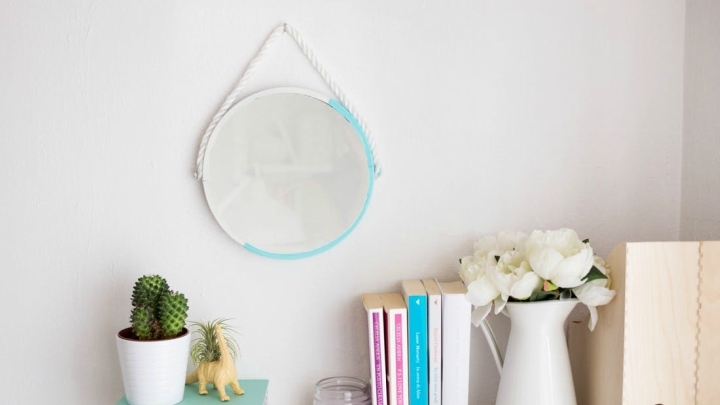 You can use strings in their original color or also give them a touch of color by painting them to match the rest of the decoration. The open spaces can be perfectly differentiated even if they are connected. There are many ways to get it and one of them is through a string structure placed vertically. The light will continue to pass between them but visually the rooms will be separated. It is ideal for a rustic decoration, for example. This idea is sure you’ve seen it in some craft we’ve done before. 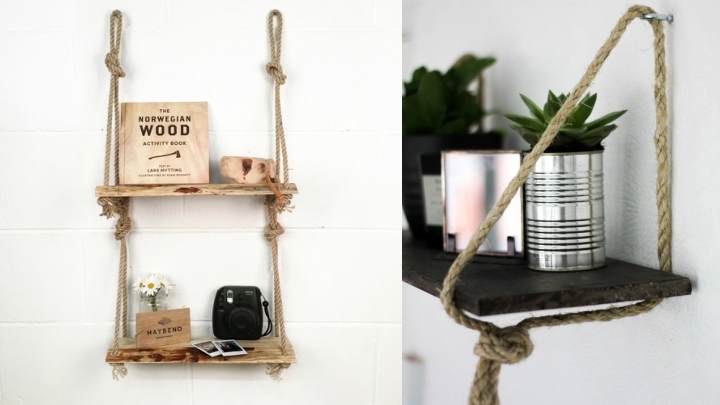 Designing a decorative and practical bookshelf with ropes is very simple, since it allows you to customize this auxiliary furniture as you prefer. Afterwards, you will only have to hang it wherever you like. They look great in the bathroom, for example, and also in the kitchen. I like this idea above all to use it in a beach house, for example, to which we want to give a marine touch. You only have to introduce some ropes in glass jars and place them on a table as a decorative element. It is very simple and effective at the same time. An alternative is to cover a glass bottle with a string and place a flower inside. You can also leave them as is and make a composition with several lined bottles, without flowers.